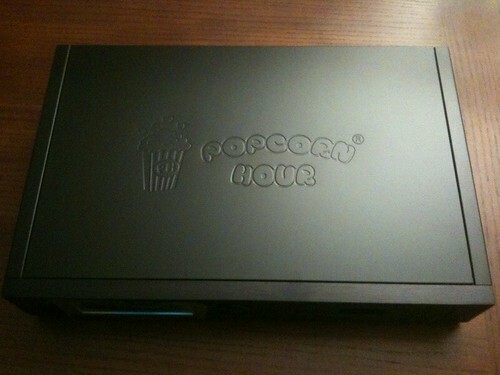 PopcornHour C200 Preview and First Look – The new Popcorn Hour C200 Media Player has arrived at GeekTonic and the review is in the works. Check out the first photos. Media Keyboard Review: Vidabox Premium Wireless Keyboard Redux – The latest version of the wireless RF keyboard from Vidabox gets reviewed. 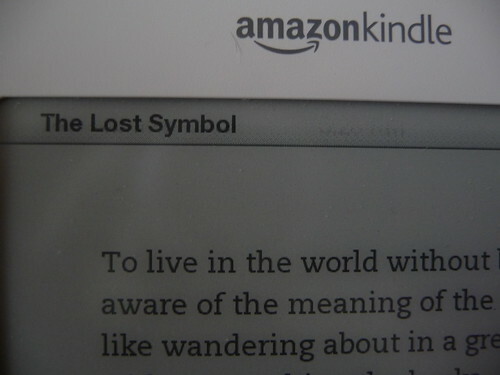 Getting The Lost Symbol on Kindle – Instantly and Cheaper – I picked up Dan Brown’s latest novel “The Lost Symbol” with the Kindle. And it arrived the moment it was available for cheaper than you can get it in bookstores. Review the New TV Premieres on the Seen In HD Podcast – I joined the “Seen in HD” podcast crew where we reviewed the new and returning TV premieres for the Fall 2009 TV season. Stay tuned for a giveaway or two in the coming week as well as more in-depth content for Media Gadget Fans at GeekTonic.com. 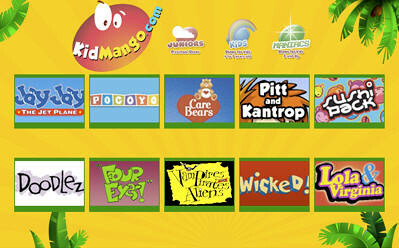 This media player looks quite interesting. It’s powerful, supports an extremely large number of video/audio formats and codes, has HDMI 1.3a support, support for an internal drive and a nice LCD screen on the front. So as you can imagine I’ve been waiting for this thing anxiously for the past few weeks – and originally that’s when this review unit was supposed to arrive. Unfortunately due to delays it arrive today – and I’m not at the GeekTonic home which makes the unboxing thing quite difficult. Thankfully I found a substitute to take a few snapshots (sorry for the blurriness – Monday’s photos will be much more detailed and clear I promise). The top of the C200 has the logo and name engraved in the metal. The remote looks pretty decent with a good layout. Next is a shot of the front of the C200 shows the LCD (with protective plastic still in place). You’ll see the power button on the far left with two USB ports right below that. Then the LCD screen, a navigation “circle”, storage bay (hard drive or ROM fits in there) and finally the PCH logo at the lower right. The rear of the unit shows the many ports as well as the fan grill. HDMI, Component Video, S-Video, Composite, Stereo Analog Audio, SPDIF, Optical and Coaxial Digital Audio and even two more USB ports along with the power port. It’s definitely much larger than the old PopcornHour A-110. This unit is closer to the size of a DVD player if not a bit bigger. I’ll have more photos including the innards for you shortly. I don’t take reviews like this one lightly so I’ll likely do it in two parts. My first Impression early next week and then the complete review after using it for at least a week. You just can’t get to know a device like this in a day or two. It definitely has most of the right hardware. Next we’ll have to see how it all performs and try out the usability. Stay tuned for more! This past February I went on a quest to find the very best wireless, HTPC/Media-friendly keyboard. My personal favorite was the Vidabox Premium Wireless Keyboard. Well just this past month, Vidabox has updated that very keyboard and sent me a review unit so I thought I’d provide an update of the review with details on the changes. Whether you have a full-blown Home Theater PC (HTPC) setup or simply want to control your computer from a distance, you’re going to want a solidly built keyboard, with the keyboard layout to be smart and functional, great wireless reception and a good way to control the mouse. I’ve been using the Vidabox Premium Wireless HTPC Keyboard with Laser Trackball with my HTPC, a SageTV HTPC extender and even in my office as a simple wireless keyboard. 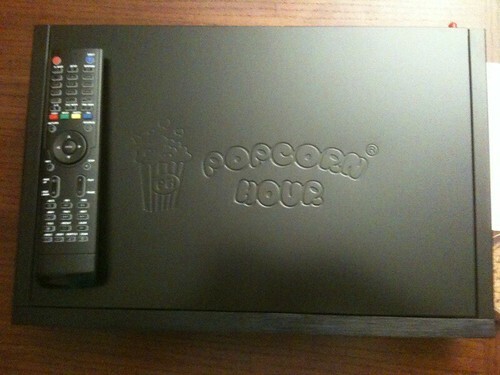 Vidabox is a New York-based company that sells Home Theater, Home Theater PC and Home Automation. Their primary customer base is the higher-end Media Center enthusiast and custom installers, but they sell products such as this keyboard directly from their online store as well. 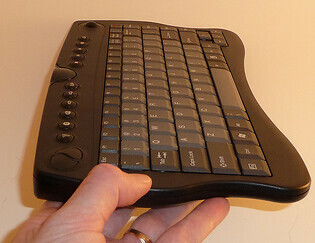 The Vidabox keyboard is made of black plastic with gray keys. The keyboard looks nice and is feels solid – It’s not as tiny as the Logitech DiNovo Mini, but it is smaller than a standard-sized desktop keyboard. What's been updated with the new keyboard? 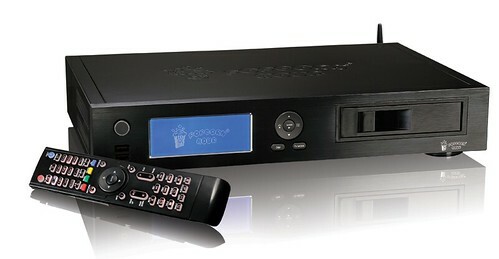 The Vidabox Premium Wireless HTPC Keyboard with Laser Trackball is the latest version of Vidabox's popular HTPC keyboard. Battery Life is slightly longer – up to roughly 6 months with an auto-shutoff feature on the keyboard when not being used. Since I first wrote the GeekTonic review of the Amazon Kindle 2, my wife has commandeered that Kindle and hasn’t let it out of her sight since. I’ve been warning her for weeks now that I would be “borrowing” that Kindle back this week while I was on a business trip. Why? 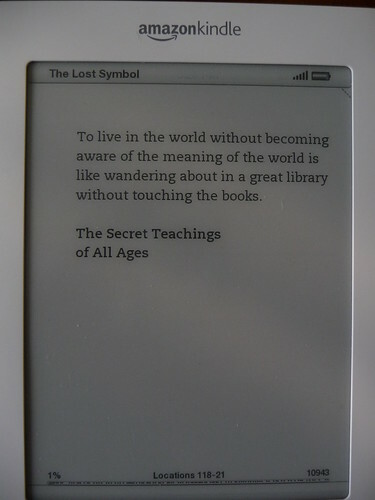 Because I wanted to have Dan Brown's latest novel, “The Lost Symbol” as soon as it was available. It certainly didn’t hurt my case that the Kindle Version of “the Lost Symbol” is running at least half of the price you can buy it in a traditional book store. “The Lost Symbol” was available in bookstores on September 15th – some stores even had it available after midnight for the really anxious readers. Kindle owners like me could simple pre-order it on the Amazon store, and it automagically arrives on my Kindle early that morning – approximately 12:30 Pacific Time. Unlike some Harry Potter fans, I’m not usually ready to read a book the minute it becomes available. But this book is an exception – and since I’m in DC where the story centers, I felt it was especially appropriate to begin now. The book sells for around $16.17 after discounts, but on the Kindle it was $9.99 as are most new releases. I normally travel with a book as travel provides one of the few times when I find time to read a novel. And the Kindle 2 is light and compact for travel. It’s the perfect form factor for me. I’ll admit there are many disadvantages of the Kindle. The Kindle itself won’t be saving most people money. And you have to turn it off on flights during takeoff and landing (stupid airline rules). But I really like the concept of e-books and this week my my wife’s Kindle found it’s way into my hands gave me a glimpse of why I like it so much. It appears that the Kindle version of the Dan Brown book has been selling quite well on Amazon likely for those same reasons I found it appealing. I’ll be trying out some of the new versions of the Kindle and maybe even something like the Plastic Logic or even the Asus dual screen reader. They will get better and cheaper – it’s only a matter of time. You may remember that beautiful Evolution theme for MeediOS I showed you this past July? Last week they added a “Chrome” option to it giving MeediOS users even more awesome looking options. 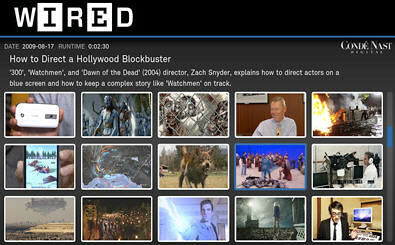 meediOS EvolutionChrome (Movies) from crn on Vimeo. Get your DVRs and HTPC ready because this is the first of many busy TV weeks! Several new premiers begin these next few weeks and I have all of the details. Football Night in America (7pm on NBC – Available in HD) – Basically a preview for the upcoming Sunday night game with a few highlights from the days NFL action. Scooby-Doo! The Mystery Begins (7pm on Cartoon Network) – This is a new Scooby-Doo movie on Cartoon network. Learn how the Scooby-Doo gang first formed Mystery Inc.
Mega Beasts: Terror Bird (9pm on Discovery Channel – Available in HD) A one-hour special for Discovery fans. Monday Night Football: Buffalo Bills at New England Patriots (7pm on ESPN – Available in HD) – The 40th premiere of Monday Night Football with the Bills versus the Patriots. Watch Tom Brady, Randy Moss and Terrell Owens duke it out. Lincoln Heights (8pm on ABC Family) Season 4 of this popular show begins. Gossip Girl (9pm on CW – Available in HD) – Season 3 of Gossip Girl begins. The gang is back with summer nearly over. The Jay Leno Show (10pm on NBC – Available in HD) – We'll count this as a new series since it’s not really the Tonight Show. But we’ll get more of the popular Jay Leno stuff at 10pm Eastern now. I know many aren’t in love with the concept of putting this in prime time, but it will be a hit and as bad as NBC has done with primetime lately this has to be counted as a good decision for them. Monday Night Football: San Diego Chargers at Oakland Raiders (10:15pm on ESPN – Available in HD) – The second of the Monday Night Football double header. Do we give the Raiders a chance here??? The Biggest Loser (8pm on NBC) – Season 8 of a pretty popular reality TV show. 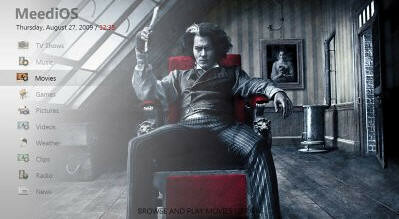 I’ve never watched it but some say its watchable. Full Color Football: The History of the American Football League (8pm on Showtime – Available in HD) – A new series on Showtime. I’ll be picking this up on DVD when it becomes available. The Beautiful Life (9pm on CW – Available in HD) – A new drama by CW. We’ve seen this one before: Wealthy, extremely attractive and young people who model. MysteryQuest (10pm on History – Available in HD) – A new series on History Channel. If you’re in to the paranormal, this one is right up your ally. The show seeks solutions to the puzzles of Atlantis, Bermuda Triangle etc. The Ultimate Fighter: Heavyweights (10pm on Spike) – Season 10 begins. 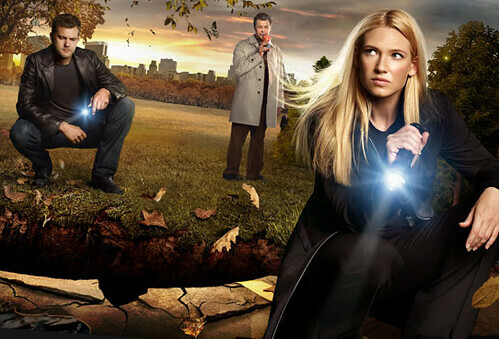 Bones (8pm on FOX – Available in HD) – Season 5 puts the team looking for bodies buried under a DC fountain. 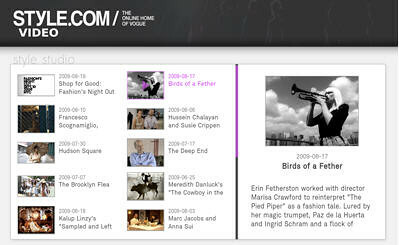 Saturday Night Live: Weekend Update Thursday (8pm on NBC – Available in HD) 30 minutes of SNL on Thursday. I still can’t figure out why they are trying this still. SNL on Saturday is bad enough these days – and that one could easily be compressed into a one-hour show and be better. Survivor (8pm on CBS) – Season 19 of Survivor. I’ve mostly lost interest in this reality TV sow, but I always check it out to see if there are any watchable characters (like Rupert for instance) since that is what this show is really all about. Parks & Recreation (8:30 on NBC – Available in HD) – Season 2 begins. I seriously cannot believe this show made it to season 2 as it was extremely bad in my opinion. And that’s coming from an “Office” fan too. Extreme Cuisine with Jeff Corwin (9pm on Food Network – Available in HD) – A new series with Jeff Corwin travelling to various countries to sample exotic foods and learn about the various local customs. The Office (9pm on NBC – Available in HD) – Season 6 is here. I was a latecomer to this series as I felt the first many episodes were pretty week. But being an office dweller myself this one comes too close to home to miss the laughs. Community (9:30pm on NBC – Available in HD) – I liked the clips I saw on this new sitcom so I’ll be recording it, but I’m not sold that it will be worth watching yet. Time will tell. It’s Always Sunny in Philadelphia (10pm on FX) – Season 5 of the Danny Devito show. Not on my watch list but popular with many. Crash (10pm on Starz – Available in HD) – Season 2 with Dennis Hopper. Last season started off strong, but quickly lost its audience. Look for this season to be slightly re-tooled. Mitch Fatel Is Magical (11pm on Comedy Central) - One hour comedy special. Georgia O’Keeffe (9pm on Lifetime) – a new Lifetime made-for-TV movie. 09/13/2009 8pm on Fox “King of the Hill” 1-hour series finale. The last of the final six episodes ever. I’ll also be a guest on the Seen in HD podcast talking about the Fall 2009 TV season – I’ll have a post linking to the show when it’s available.